Cleaning your paint brushes may seem like an unnecessary hassle that won’t really make a difference, but the truth is, cleaning your brushes out well makes all the difference. Cleaning your brushes immediately after every use can prolong the life of the brush, as well as ensure that when you do so, you don’t leave any brush strokes. Cleaning them out is well worth your time. There are quite a few different methods for cleaning out paint brushes. Some methods will work better than others depending on what type of paint is on your brush. Take a look and decide which one will best suit your purposes. This method works well for cleaning out oil used paints. Begin by removing any access paint onto a rag or cloth. Place liquid dish soap in the palm of your hand. Place the brush under warm running water and begin moving in a circular motion in the palm of your hand that holds the soap. The paint should start to clean off. Continue this until all the paint has been removed. Reshape the bristles and then stand the brush up to dry. This method works great for removing hardened paint from brushes if you didn’t get a chance to clean your brush right away. Place vinegar in a bowl and let the brush sit in it for an hour or so. If the bristles are still fairly stiff after an hour, let it keep soaking till the soften up. After the bristles have softened up, place the brush in a pot with vinegar and boil it. Let the brush boil in the vinegar for a few minutes then remove and let it cool off. 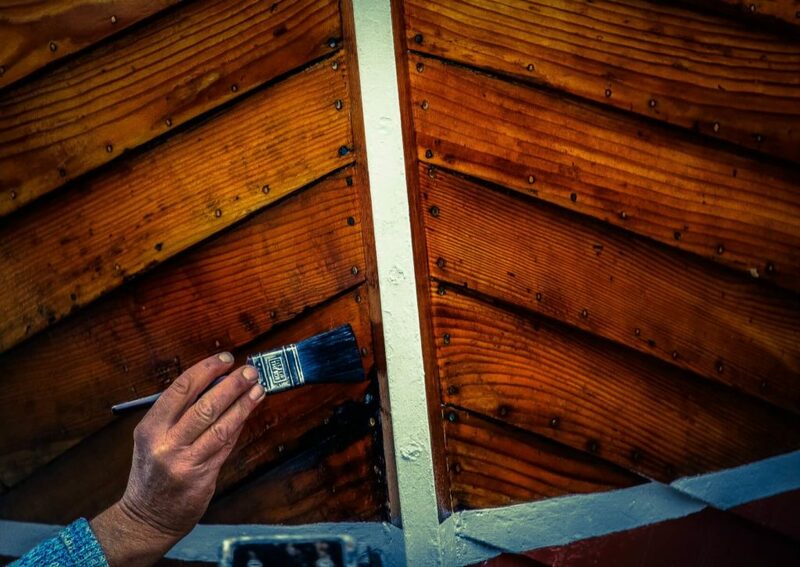 Work through the bristles with your fingers or a comb and try to get out all the left over clumps of paint. The vinegar soaking process may have to be repeated to completely clean out the brush. After all the paint is removed, place the brush under running water to rinse it off then place it, with the bristles facing up, to let it dry. Cleaning brushes with fabric softener is another popular and effective method for cleaning brushes. Begin by wiping all the access paint on a rag or cloth. Make a solution containing one gallon water mixed with 1/2 cup of fabric softener. Let the brush soak up the solution to loosen up all the remaining paint. Shake the brush off when removed form the solution and place it, with the bristles facing up, to let it dry. Cleaning with solvents is one of the most popular methods for cleaning paint brushes. First, take a look at your paint can and figure out what kind of paint you are using if you don’t already know. The type of solvent you use will be based on the paint type. For oil paints, mineral solvents will work best. For water based paints, water works great. 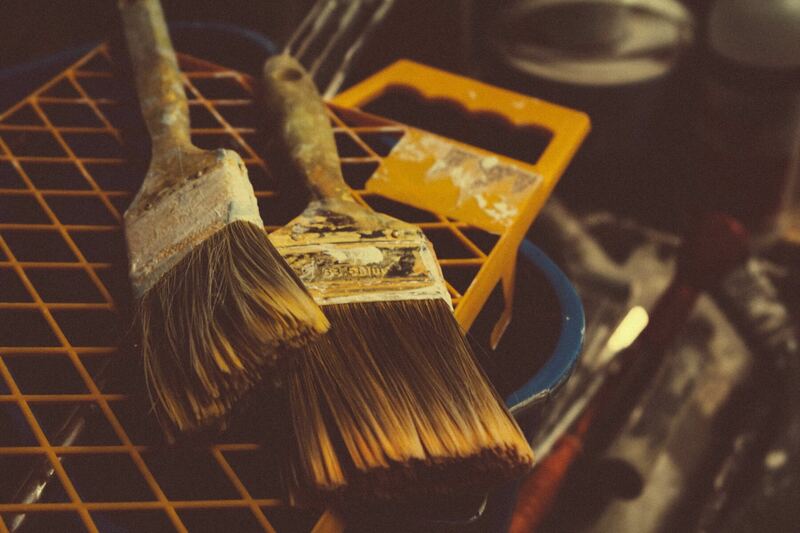 Before you soak your brush in the solvent, wipe any access paint on an old rag or cloth: it will make the cleaning process easier having the access paint removed. Simply move the brush around in the solvent, pushing the brush against the bottom or edges of your container occasionally to help loosen up the paint in the bristles. Once again, wipe the brush down on a rag to remove any remaining access paint. Place the brush under running water and work your fingers through the bristles to get the rest of the paint out. Store the brush with the bristles facing up so they keep their proper shape while drying. Remember to always dispose of any chemicals, soaps, or solvents in a safe area, and wrap your brush in plastic or the cardboard sleeve it came in to preserve its shape and the health of the bristles. Be sure to share this article if you found it helpful!